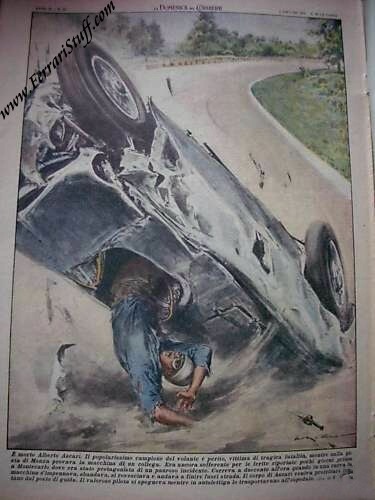 Vintage June 1955 Domenica del Corriere on the Alberto Ascari deadly crash. 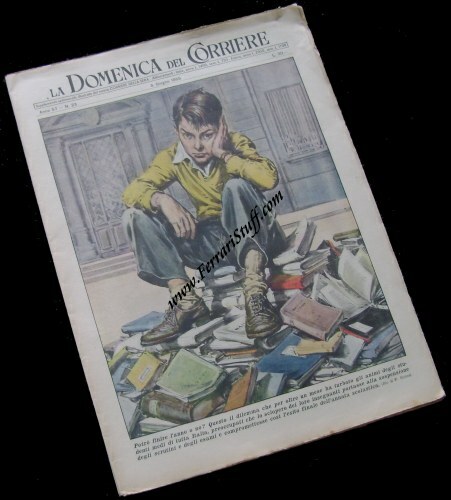 This is a vintage & original June 5 1955 issue of Italian magazine "Domenica del Corriere" which pays attention to the untimely death of Italian racing ace Alberto Ascari. 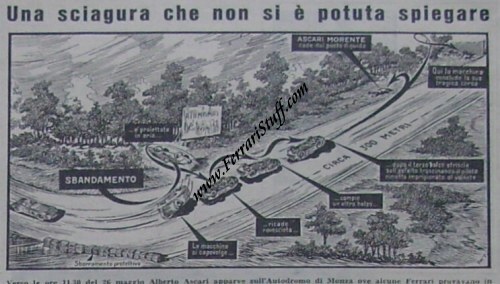 On May 26, 1955 Alberto tried out the Ferrari 750 Monza (S/N 0562M) which he was to share with Eugenio Castellotti at the Autodromo di Monza. In the third lap, the car started to skid inexplicably, somersaulted and Alberto was slung from the car onto the track where he died a couple of minutes later. The (fast!) corner where this accident happened, the "Curva di Vialone", was later renamed "Variante Ascari" in his honor. 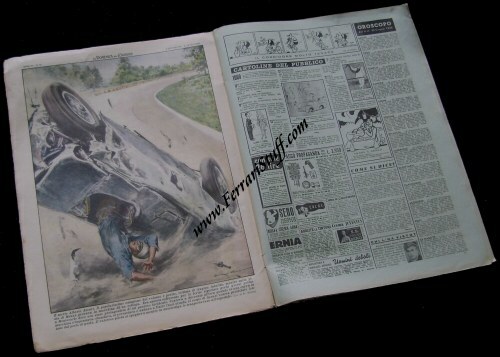 Since there is no photographic account of the accident itself or the aftermath, the magazine had to make do with a more than excellent and very dramatic artist's impression which shows Alberto being slung from the car. That image is used on a full page which makes it excellently suited for framing. 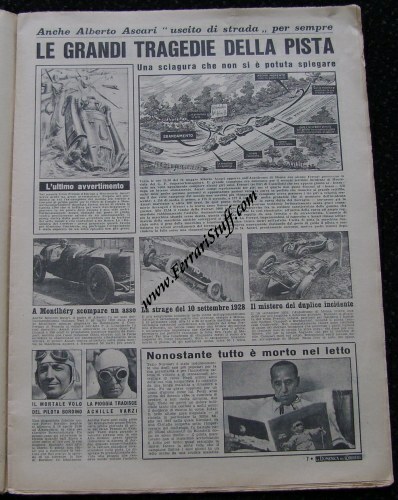 Furthermore, there is a full page account of the accident including drawings of the path of the car and it pays attention to earlier, similar, accidents and the crash of Alberto's father, Antonio Ascari, at Montlhery in 1925. Excellent condition for its age!